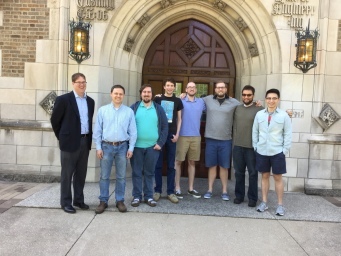 Dr. Peter Ivie, Ph.D. 2018, engineer at VidAngel, Inc.
Dr. James Sweet, Ph.D. 2017, postdoc at ND Center for Research Computing. Dr. Haiyan Meng, Ph.D. 2017, engineer at Google, Inc.
Dr. Patrick Donnelly, Ph.D. 2016, engineer at Red Hat, Inc.
Dr. Haipeng Cai, Ph.D. 2015, faculty at Washington State University. 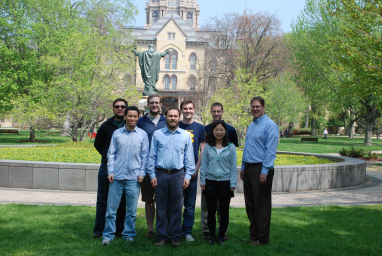 Dr. Peter Sempolinski, Ph.D. 2015, postdoc at Notre Dame. Dr. Dinesh Rajan, Ph.D. 2015. Amazon, Inc.
Dr. Li Yu, Ph.D. 2013. Bloomberg, Inc.
Dr. Peter Bui, Ph.D. 2012, faculty at University of Wisconsin - Eau Claire. 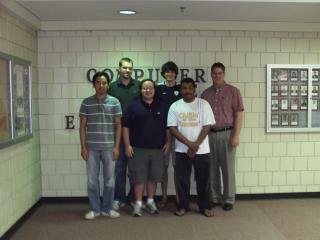 Dr. Hoang Bui, Ph.D. 2012, faculty at Western Illinois University. 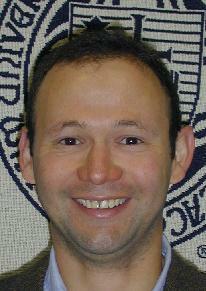 Dr. Christopher Moretti - Ph.D. 2010 - Faculty at Princeton University. Dr. Kyle Wheeler - Ph.D. 2009 - Researcher at Sandia National Labs. 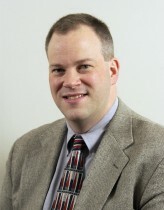 Dr. Jeffrey Hemmes - Ph.D. 2009 - Faculty at the Air Force Institute of Technology. Kyle Wheeler (M.S. 2018) - Developed techniques for running workflows in container systems and HPC environments. Nicholas Pottiger (REU 2018) - Developed cloud archive facility for Makeflow. Qimin Zhang (iSure 2018) - Evaluated machine learning techniques for predicting resource usage. Caitlin Guccione (REU 2017) - Evaluated cost and performance of bioinoformatics on commercial clouds. Lydia Brothers (REU 2016) - Ported the AWE application to cloud resources. Ngoc An Huynh (U of Tokyo) - Visualization techniques for fork-join programs. Casey Robinson - Contributed to Work Queue resource management. Michael Albrecht - Contributed to Work Queue development. DeVonte Applewhite - Contributed to Work Queue visualization and reporting. Brenden Kokoszka - Implemented the search system call. 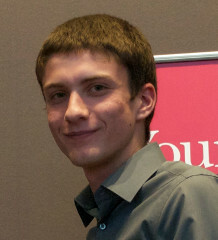 Nicholas Jaeger - Contributed to Work Queue. Brian Dusell - Redesigned the Biocompute bioinformatics portal. 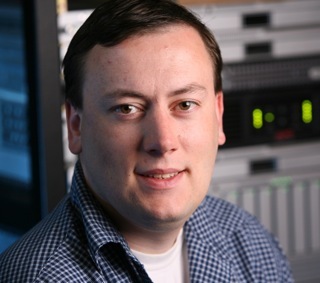 Robert Wirthman - Contributed to the ND cloud facility. Kevin Wern - Created a Work Queue visualization. 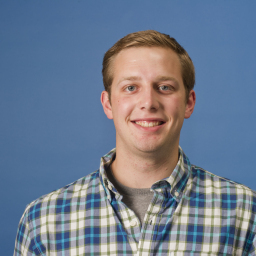 Kyle Mulholland - Contributed to Makeflow visualization. Jessica Vallejo - Contributed to Work Queue testing. John Quinn - Contributed to the virtual windtunnel portal. Thomas Potthast - Contributed to the Biocompute analysis portable. Joseph Fetsch - Constructed genetic algorithms using Work Queue. Iheanyi Ekuchuku - Contributed to the BXgrid web portal. Taylor Seale - Contributed to the CFD workbench. 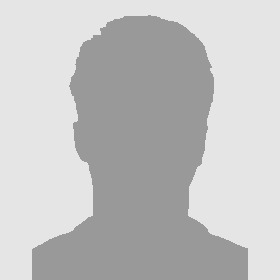 Vincent Birch - Contributed to the automatic build and test environment. Chris Bauschka (Purdue University) - Created tools for database management of large workflows. Rachel Witty - Added large scale data processing capabilities to BXGrid. Ryan Jansen - Built out the Green Cloud at the CRC. Zachary Musgrave (Clemson University) - Created new scalable bioinformatics applications. Anthony Canino (SUNY-Binghamton) - Created a scalable replica exchange framework. Carl Beyer - B.S. 2010 - Designed new tagging and viewing capabilities to BXGrid. Kevin Partington - B.S. 2010 - Created new programming models for distributed computing. Joey Rich Worked on data management features in Biocompute. Kameron Srimoungchach (Clemson University) - Integrated the BXGrid data repository with the Condor pool. Rory Carmichael - B.S. 2009 - Contributed extensively to TeamTrak, BXGrid, and Biocompute. Mark Pasquier - B.S. 2009 - Contributed to data integrity in BXGrid and data management in TeamTrak. Patrick Braga-Henebry - B.S. 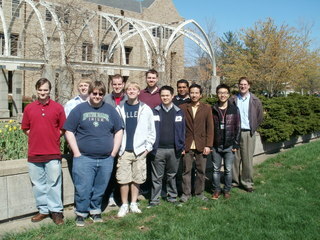 with honors 2009 - Created the Biocompute genomics portal. 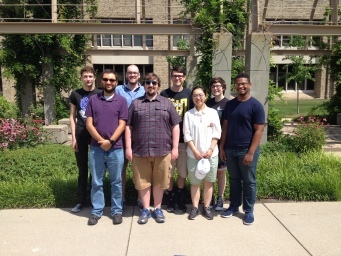 Brandon Rich - Created the DataLab parallel computing facility. 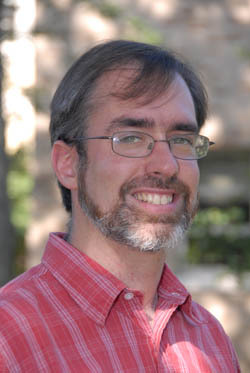 Christopher Lyon (North Carolina A&T) - Contributed to the BXGrid project. Mike Kelly - B.S. 2009 - Created the BXGrid biometrics portal. Jared Bulosan - B.S. 2008 - Web interfaces for distributed computing. Brian Sullivan - B.S. 2008 - Contributed to data analysis in the Lockdown project. Phil Snowberger - M.S. 2007 - Created the SubID toolkit, now at YouTube. Brendan McNutt - B.S. 2009 - Implemented stride measurement in TeamTrak. Gerhard Niederwieser (Univ. of Innsbruck, Austria) - Created tools for large scale biometric comparisons. Daniel Mack - B.S. 2006 - Implemented approximate network location in TeamTrak. James Fitzgerald - B.S. 2006 - Added kernel support for distributed storage. James Ehlinger - B.S. 2006 - Built a distributed backup system. Paul Madrid - B.S. 2004 - Distributed resource management. 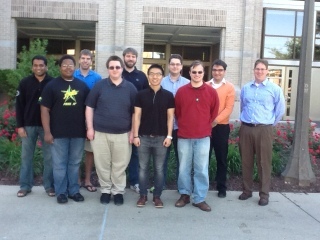 Back Row: Peter Sempolinksi, Thomas Potthast, Robert Wirthman, Michael Albrecht, Dinesh Rajan. 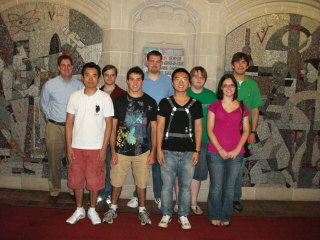 Front Row: Patrick Donnelly, Joe Fetsch, Peter Bui, Hoang Bui, Li Yu, Prof Thain. 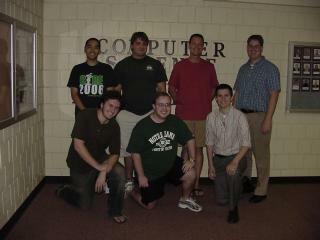 Back Row: Joey Rich, Michael Albrecht, Connor Keenan, Ryan Jansen, Kameron Srimounghach, Prof. Thain. Front Row: Rachel Witty, Peter Bui, Li Yu, Chris Moretti, Hoang Bui.